This service may be offered on Memorial Day itself or sometime during the holiday weekend. As persons arrive they receive a blank index card and a list of local, state and national political offices. The list may or may not include the names of persons holding that office. You are encouraged to use many worship leaders for the various readings and prayers. The congregation stands when singing, except during the offering. Feel free to underscore the prayers or scripture readings with instrumental music if you so desire. At the end of the greeting, a solo trumpet begins to play Taps. A veteran or active duty member of the military in uniform processes in a lit candle and places it on the altar table. He/She then salutes the candle and exits. The congregation remains standing. 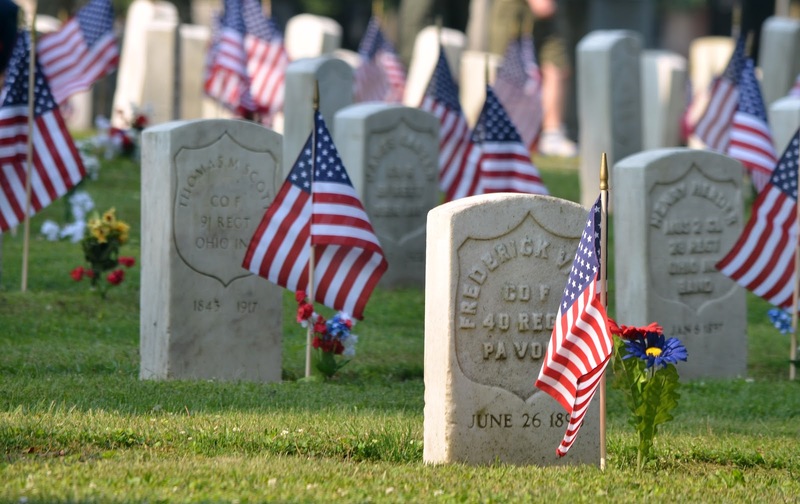 We gather this Memorial Weekend with persons all over our nation to remember those who make great sacrifices and to pray for God’s promised peace. And so, we remember those who have served in the past: those who are living, those who have died, and especially those who have died while serving. Please speak their names now. Now, let us remember those who are currently serving as active duty military or as reservists. Please speak their names. Almighty God, we are grateful for those who are willing to sacrifice and to serve. Strengthen the men and women mentioned here today and all who risk their lives to protect others. Help all military personnel to serve with honor, wisdom, and compassion. Guard them from hard heartedness, despair, and evil. Strengthen and bless their families, especially when they are separated one from another. Surround them with your protection, your grace, and your peace. Hear these words of promise and hope from the prophet Micah. In days to come the mountain of the Lord’s house shall be established as the highest of the mountains, and shall be raised up above the hills. Peoples shall stream to it, and many nations shall come and say: “Come, let us go up to the mountain of the Lord, to the house of the God of Jacob; that he may teach us his ways and that we may walk in his paths.” For out of Zion shall go forth instruction, and the word of the Lord from Jerusalem. He shall judge between many peoples, and shall arbitrate between strong nations far away; they shall beat their swords into plowshares, and their spears into pruning hooks; nation shall not lift up sword against nation, neither shall they learn war any more; but they shall all sit under their own vines and under their own fig trees, and no one shall make them afraid; for the mouth of the Lord of hosts has spoken. It is your will for us live together in peace, provision and equity. Bring wholeness and hope to every system, relationship and person broken by war. Give us courage to act and your wisdom to know what to do. The congregation is invited to write a prayer for our country on the index card. 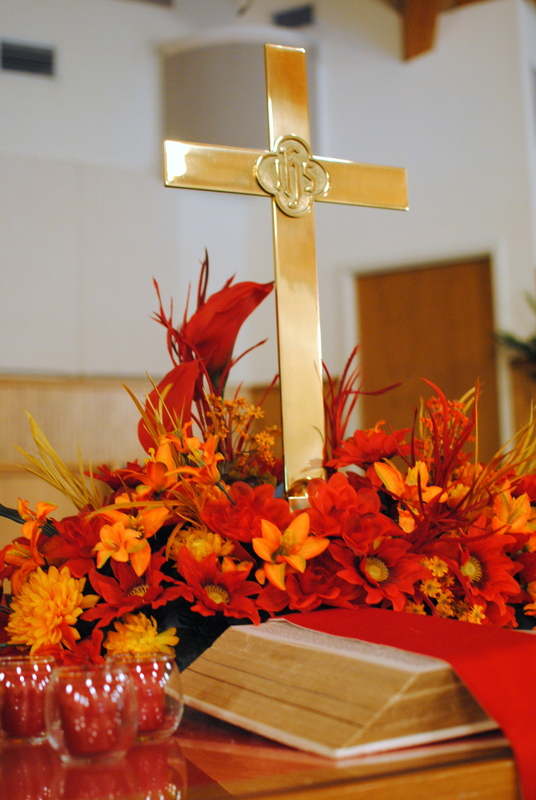 They then bring it forward and place it on the altar table or altar rail. Prayer at the altar rail is also recommended. In ancient times, Psalm 72 was used as a prayer for those who led God’s people. Today we pray it for our leaders. Give the king your justice, O God, and your righteousness to a king’s son. May he judge your people with righteousness, and your poor with justice. May the mountains yield prosperity for the people, and the hills, in righteousness. May he defend the cause of the poor of the people, give deliverance to the needy, and crush the oppressor. May he live while the sun endures, and as long as the moon, throughout all generations. May he be like rain that falls on the mown grass, like showers that water the earth. In his days may righteousness flourish and peace abound, until the moon is no more. May he have dominion from sea to sea, and from the River to the ends of the earth. May his foes bow down before him, and his enemies lick the dust. May the kings of Tarshish and of the isles render him tribute, may the kings of Sheba and Seba bring gifts. May all kings fall down before him, all nations give him service. For he delivers the needy when they call, the poor and those who have no helper. He has pity on the weak and the needy, and saves the lives of the needy. From oppression and violence he redeems their life; and precious is their blood in his sight. Long may he live! May gold of Sheba be given to him. May prayer be made for him continually, and blessings invoked for him all day long. May there be abundance of grain in the land; may it wave on the tops of the mountains; may its fruit be like Lebanon; and may people blossom in the cities like the grass of the field. May his name endure forever, his fame continue as long as the sun. May all nations be blessed in him; may they pronounce him happy. The congregation is invited to take out the list of local, state, and national political offices. Leaders of our nation, our state, our community and all who are running for office. and surround them with godly counsel. so that all people may be treated fairly and with dignity. that there may be lasting peace and plenty for all. Amen. Lord of All, we confess our dependence on you. Time of silence for prayers of confession. Follow with words of promise and pardon. ours, O LORD, is the greatness and the power and the glory and the majesty and the splendor, for everything in heaven and earth is yours. Yours, O LORD, is the kingdom; you are exalted as head over all. Wealth and honor come from you; you are the ruler of all things. In your hands are strength and power to exalt and give strength to all. Now, our God, we give you thanks, and praise your glorious name. Memorial Day Prayer Service © 2013 Nicole Sallee and Lisa Ann Moss Degrenia. 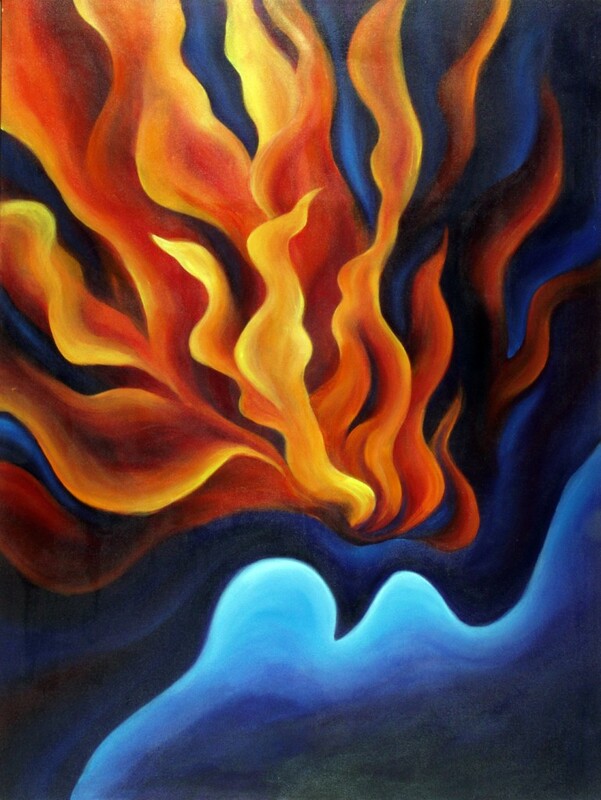 Original prayers by Lisa Ann Moss Degrenia. In her book Prayers for Life’s Ordinary & Extraordinary Moments, Mary Lou Redding offers a prayer for parents to pray when their child doesn’t believe in God. It could be easily adapted for any loved one. I was drawn to the simplicity and honesty of this prayer and my own need for it with so many that I love. It seems especially helpful in situations when you and the loved one no longer live near each other or the relationship is strained. who says he doesn’t believe in you. Lord, help my child struggling with cynicism and despair. I believe that doubt is part of the faith journey. this one I love so much toward you. Loving God, I lift up __________ to you. trusting you to continue to work in his life. and that my child will grow in the sunlight of your love. Thank you, dear God, for hearing and acting. and that though I must let go, you never will. Amen. Alternate the song Set a Fire with portions of the prayer. The music continues underneath the praying. 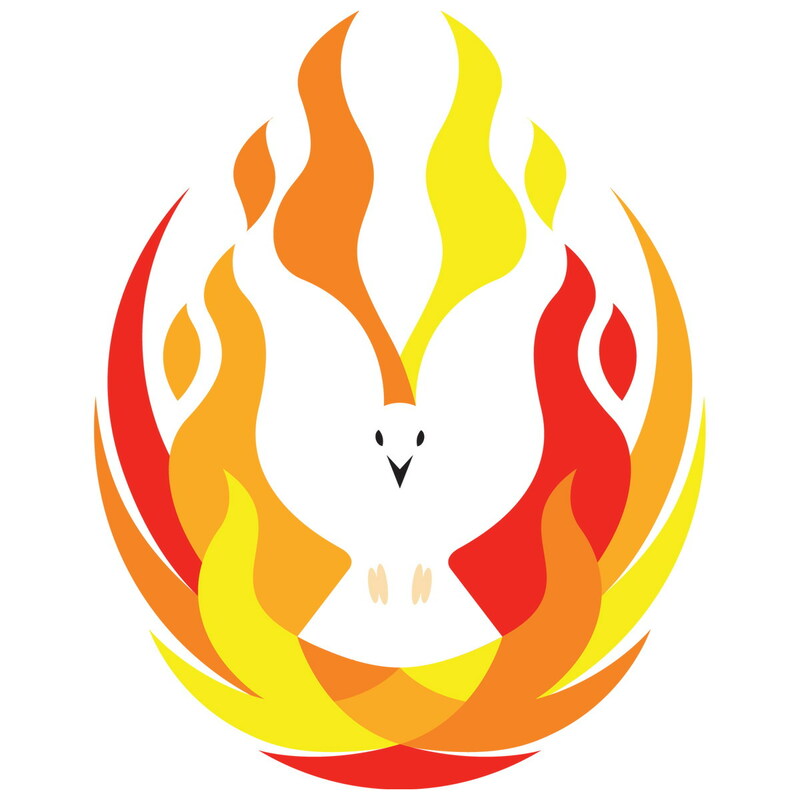 For a quieter worship time, transition into Spirit of the Living God by Daniel Iverson (CCLI #23488). For a more energetic worship time, transition into Like a Lion by Daniel Bashta (CCLI Song #5675274). Today’s featured artist is Rebecca Brogan: visual artist, songwriter/musician, missionary, and philanthropist. Her organization, John the Baptist Artworks, is a not-for-profit min­istry, send­ing all prof­its beyond oper­at­ing expenses to mis­sions and charities, including Gospel for Asia, Samaritan’s Purse, Barnabas Fund, and her own mission work in the Sala­manca Mar­ket of Hobart, Tasmania, Australia. You are welcome to use this work in a worship setting with proper attribution. Please contact Nicole for information and permission to publish this work in any form. For more information on the art and the use of this devotional in other settings, please refer to the copyright information page. for you alone are my King and my Lord. Amen. At the start of the prayer, the accompanist begins playing the next song softly. The affirmation is spoken by the leader and people as written. Where the Spirit of the Lord is, there is the one true Church, apostolic and universal, whose holy faith let us now declare. and whose will is ever directed to His children’s good. and the promise of our deliverance from sin and death. and find strength and help in time of need. may come upon the earth. Amen. Go to the ant, you lazybones; consider its ways, and be wise. Without having any chief or officer or ruler, it prepares its food in summer, and gathers its sustenance in harvest. How long will you lie there, O lazybones? When will you rise from your sleep? A little sleep, a little slumber, a little folding of the hands to rest, and poverty will come upon you like a robber, and want, like an armed warrior. Jesus did not numb himself or withhold himself from human pain, as we see even in his refusal of the numbing wine on the cross (Matthew 27:34). Some forms of suffering are necessary so that we can more fully know the human dilemma, so that we can even name our shadow self and confront it. Maybe evil itself has to be felt to understand its monstrosity, and to empathize with its victims. Brothers and sisters, the irony is not that God should feel so fiercely; it’s that his creatures feel so feebly. If there is nothing in your life to cry about, if there is nothing in your life to yell about, you must be out of touch. We must all feel and know the immense pain of this global humanity. Then we are no longer isolated, but a true member of the universal Body of Christ. We’re like kids whining in the back seat, “Are we there yet?” Well, we are there yet. We are here now. But we’re so busy being busy, and whining about it, that we don’t notice. Our busyness is not fruitfulness; it’s fear. We’re afraid of the stillness, afraid of the dark, afraid of what might come up in the silence. We’re afraid of not being in control and of being dependent, afraid of not knowing. We keep busy to stay unconscious. Advent invites us into the dark, into the silence, into wakefulness. This is the fifth of seven posts based on themes from Revelation chapters 2-3. In these scriptures, Jesus reveals the timeless message of what His church should look like. 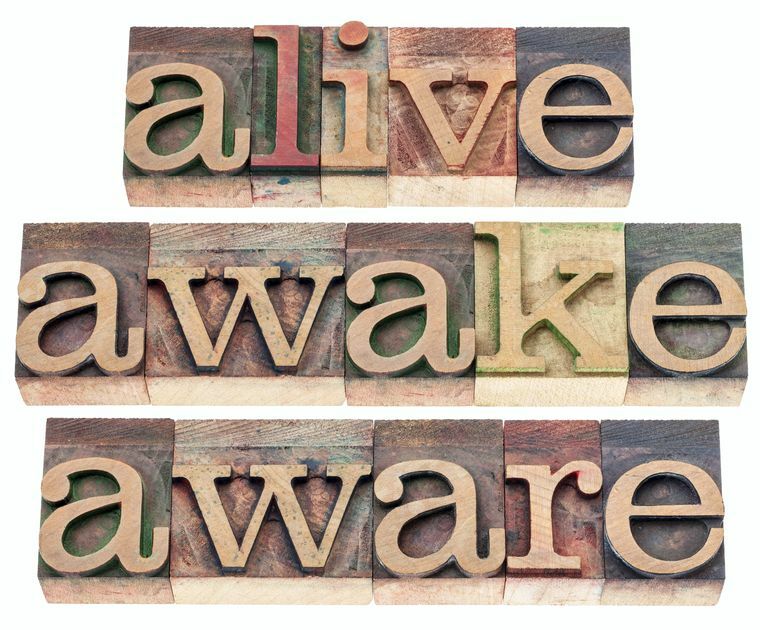 Click here for a worship resource entitled Awakening. 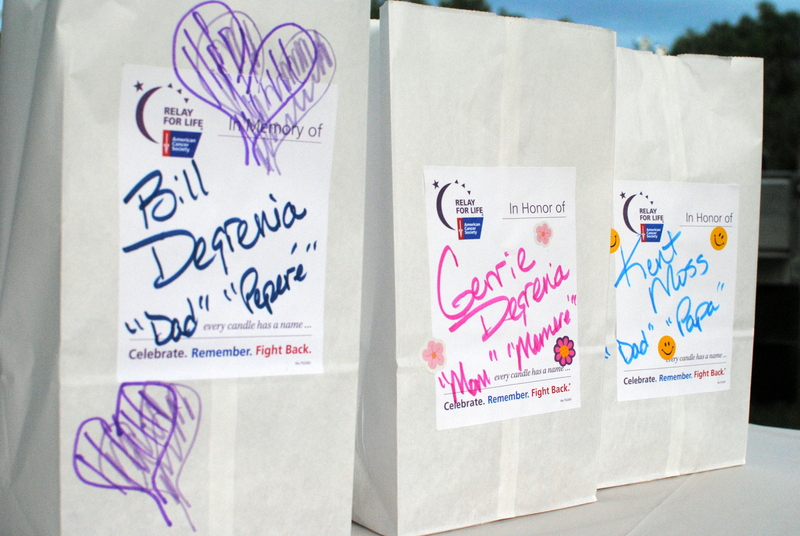 Click here to read why Relay for Life participants walk through the night. Merciful God, at the close of this day we gather to claim your promises on behalf of all whose lives are touched by cancer. The darkness is closing in, but the darkness is not dark to you. To you the night is bright as day. Help us to claim your light and life. Your light shines in the darkness, and the darkness will not overcome it. In your grace, we light these candles and walk in memory of those who have died from cancer. Thank you for the gift of these lives. Thank you for the goodness and wisdom you have blessed us with through them. Draw those of us who remain closer to one another and to you. Flood us with your hope, your compassion and your power that we may have victory over this disease. Your light shines in the darkness, and the darkness will not overcome it. The Lord is my light and my salvation; whom shall I fear? The Lord is the stronghold of my life; of whom shall I be afraid? When evildoers assail me to devour my flesh— my adversaries and foes— they shall stumble and fall. Though an army encamp against me, my heart shall not fear; though war rise up against me, yet I will be confident. One thing I asked of the Lord, that will I seek after: to live in the house of the Lord all the days of my life, to behold the beauty of the Lord, and to inquire in his temple. For he will hide me in his shelter in the day of trouble; he will conceal me under the cover of his tent; he will set me high on a rock. Now my head is lifted up above my enemies all around me, and I will offer in his tent sacrifices with shouts of joy; I will sing and make melody to the Lord. Prayer for a Relay for Life Luminaria Ceremony © 2013 Lisa Ann Moss Degrenia.